Asheville’s inspiring landscape has long attracted artists and makers of all mediums and styles to the Western North Carolina mountains. A large influx of craftspeople came to help build the massive Biltmore Estate in the early 1900s--an artistic masterpiece itself--and since 1931, the Southern Highland Craft Guild has been helping to support and promote the thousands of craftspeople that work in our region. And in recent decades, the ever-developing River Arts District (RAD) has helped strengthen Asheville’s reputation as an artist’s hub with more than 300 working artists occupying warehouse spaces and galleries in 22 former industrial buildings. With all these artistic assets and more, your groups will appreciate the chance to experience Asheville’s art scene up close and personal. Art Connections with Sherry Masters and Asheville Art Studio Tours are two in-depth guided art tour options for groups. Asheville Art Studio Tours can accommodate 12-15 people because “as an artist who loves to connect to guests and one who loves to see guests connect to artists, we keep that as the paramount focus of our business,” explains owner/operator and glass artist, John Almaguer. Standard, luxury and bus transportation can also be arranged, and optional stops for food or drinks can be incorporated as well. Art Connections will work with groups of any size to create a custom tour, but typically works with groups of 2-12 people. Custom tours are available Mondays through Saturdays from 10am-6pm, and owner Sherry Masters has worked in the arts here for 30+ years. “I know the people in the arts community, and they know me,” Masters says, giving her groups lots of flexibility. Both tour companies also offer step-on services for bus groups. View a complete list of local art tours in Asheville. 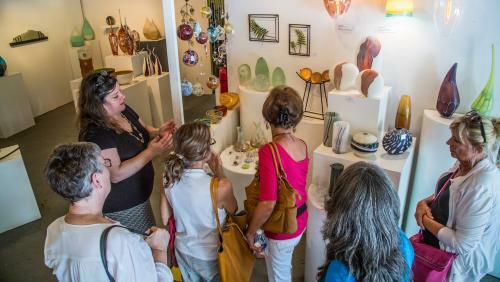 The Center for Craft, a craft gallery and learning space, is home to a nationwide crafts nonprofit focused on elevating craft research and education through exhibits, scholarships, and workshops. Their three rentable spaces cater to daytime events and meetings with options for 49-200 people, and outside catering is permitted. Plus, consider adding a curator’s tour or small gallery reception to any booking. Lexington Glassworks, downtown’s beautiful glassblowing studio, doubles as a bar with several local brews on tap. 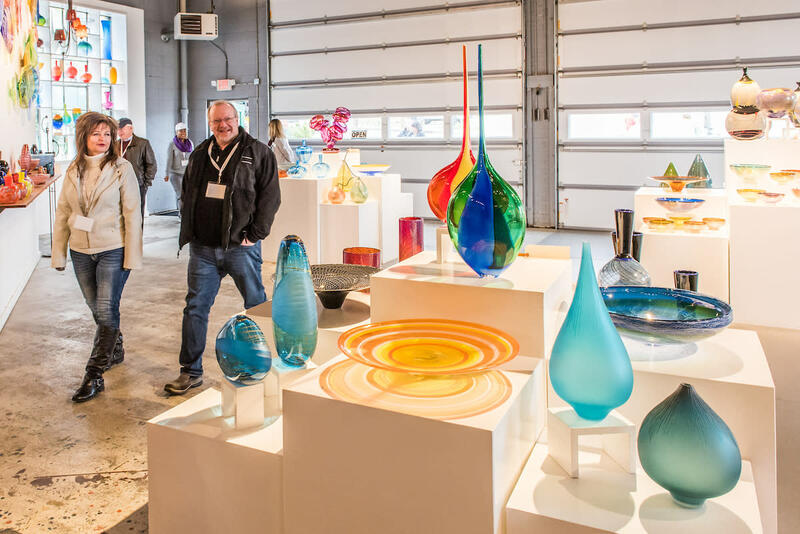 Groups can reserve the space for up to 110 people in four-hour slots with the option to including glassblowing for an additional hourly fee. Demonstrations can also be scheduled for groups of 20. The Asheville Art Museum will host its grand reopening in the spring of 2019, after the completion of a major renovation and expansion project. The new state-of-the-art facility located in the heart of downtown Asheville will feature a stunning glass façade; a grand, art-filled atrium; new spacious galleries; and a rooftop sculpture terrace and café. The Museum will host self-guided and guided group tours of its Collection and exhibitions, as well as numerous other education program opportunities. The beautiful spaces within the Museum’s new building will be perfect for events of all kinds, including company gatherings, receptions and conferences. For a glimpse into Asheville’s early weaving and woodworking operations, visit Grovewood Village located next to The Omni Grove Park Inn. Private history tours can accommodate up to 30 guests at a time, or individuals can stroll through the working studios, sculpture garden, and two museums (40-person capacity in most buildings). 8,000-acre Biltmore is Asheville’s most popular attraction filled with noteworthy art, history, and architectural elements and offers many ways for groups to enjoy the art- and culture-rich property. 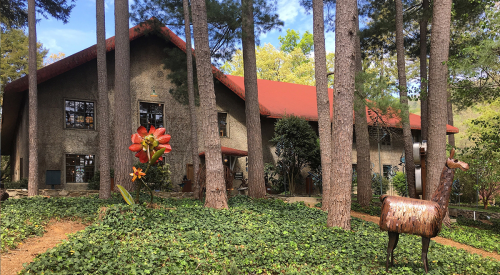 For a fun, free option, the Folk Art Center, located on the Blue Ridge Parkway, serves as the home to the Southern Craft Guild and Allanstand, the nations first craft shop. The Folk Art Center hosts daily artist demonstrations as well as rotating displays of their more than 3,500 craft pieces in their permanent collection. 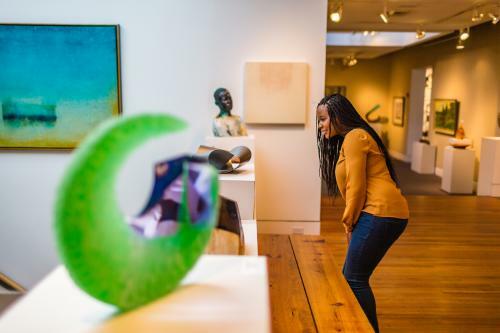 Black Mountain College Museum + Arts Center, located in downtown Asheville, celebrates the history and legacy of Black Mountain College open from 1933 until 1957. Guided tours are available for groups. From galleries to museums to working studios, Asheville offers a myriad of additional ways to experience the arts. View a complete list of Asheville&apos;s art attractions. Be sure to check out these excellent options for team bonding or a fun reward for incentive trips! The North Carolina Glass Center provides 30-minute group demonstrations for up to 20 people or hands-on experiences for up to 50 people. The cost varies based on item created, with most items between $50-75, and keep in mind that only one person can create at a time while the rest of the group watches. WAXON Batik & Dye Studio offers group tie-dye parties for up to 20 people at their studio, or WAXON will come to your group. The Village Potters organize "Create Your Own Clay" Workshops, and groups of 10-50 earn a 10% discount off the regular rate. Participants create the pots while Potters glazes, fires, and ships them (shipping not included). For guests wanting to enjoy more of Asheville’s artistic side during free time in the conference or meeting schedule, suggest they head downtown and do a self-guided tour of Asheville’s Urban Trail dotted with bronze sculptures or through Downtown Asheville Art District, a collection of 25 galleries and arts-related businesses. Two other art destinations downtown that can provide hours of browsing include Woolworth Walk, featuring local artists exclusively, and Kress Emporium, seller of crafts and art by more than 80 regional makers. And Historic Biltmore Village also has plenty of galleries and shops to explore, including an outpost for the Southern Highland Craft Guild and the New Morning Gallery, the largest craft gallery in America. View a complete list of fine art and craft galleries. 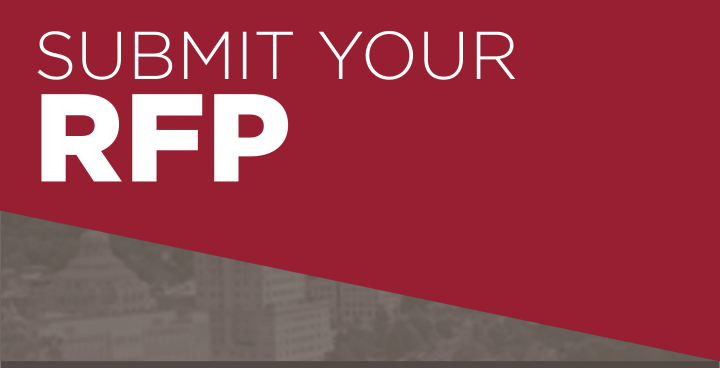 Explore Asheville is your one-stop-shop for meeting planning assistance. 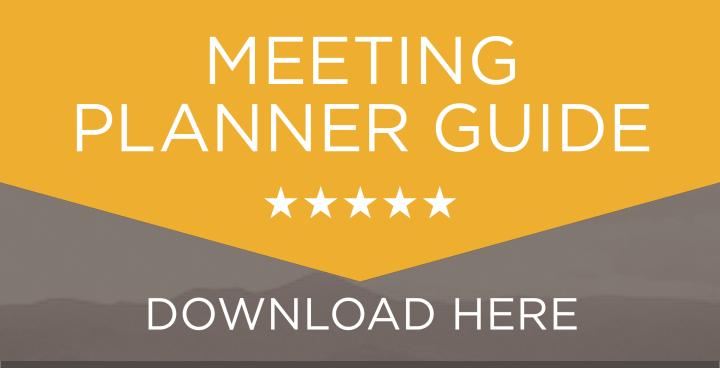 We’re here to ensure your meeting is a success and are your best first point of contact when choosing Asheville as your meeting&apos;s destination. 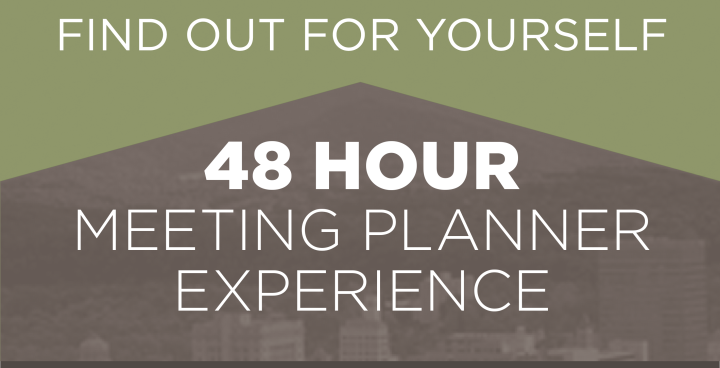 Learn more about the complimentary services we offer for meeting planners.